Yahoo agreed to sell its main web businesses to Verizon Communications for US$4,8bn, ending a two-decade run as an independent company that took it from Stanford University start-up at the dawn of the Internet age to also-ran behind nimbler online rivals such as Google and Facebook. Verizon will pay cash in a deal that includes Yahoo real estate, but excludes some intellectual property which will be sold separately. Yahoo will be left with its stakes in Alibaba and Yahoo Japan, with a combined market value of about $40bn. Verizon will add Yahoo Web services that still draw a billion monthly users, including mail, news and sports content and financial tools. The largest US wireless carrier also gets smaller but faster-growing assets including mobile applications and advertising technology for video and handheld devices. Yahoo will be integrated with Verizon’s AOL under Marni Walden, executive vice-president of the product innovation and new businesses organisation at Verizon, according to a statement issued on Monday. The shares of the Sunnyvale, California-based company were little changed in early trading Monday at $39,11. The deal amounts to an admission that Yahoo has lost much of its relevance as modern Internet use shifts toward mobile, social networking and messaging. The “portal”, officially formed in 1995 by Stanford students Jerry Yang and David Filo, was once indispensable, serving as the on-ramp to the online world for millions of consumers just discovering the Internet. Yahoo’s decline, which began with the rise of Google as the preferred search engine for Web surfers and advertisers, was hastened in the past decade by management missteps and a failure to keep up with users’ changing habits. With annual sales forecast to drop to their lowest in more than a decade, an abandoned plan to spin off Yahoo’s valuable Asian assets, and rising pressure from investors, Yahoo CEO Marissa Mayer Mayer had no choice but to put the company’s core up for sale earlier this year. Now, Verizon must find a way to turn around a business that, even after strategy shifts and job cuts, remains bloated with costs and held back by a fragmented product line-up. The deal also ends the turnaround efforts of Mayer, whose appointment in 2012 was lauded by Wall Street and Silicon Valley. Mayer, Google’s 20th employee and its first female engineer, was hailed as a potential saviour for a foundering company in management disarray. This wunderkind, who gained renown for tending Google’s spartan home page, applied her engineering chops to building new products and restoring Yahoo’s long-lost technological prowess. Speaking on CNBC, Walden said she and Armstrong planned to meet with Mayer. Commenting on the company website, Mayer said “for me personally, I’m planning to stay”. Yahoo will change its name when the deal closes, hanging onto its cash, patents and stakes in Alibaba and Yahoo Japan. The company said it will return cash to shareholders and update investors on plans for the other assets later. Yet her four-year effort — including spending billions of dollars on acquisitions and developing and updating mobile apps — did little to win a new generation of users, attract more advertising dollars or fend off competition from Google in search and Facebook in social media. In the late 1990s, Yahoo was the site where many people learned how to navigate the Web by serving up links from a handy search box and aggregating news and other content from disparate sources. The company went public in 1996 at $13/share, part of a wave of Internet listings that included Netscape Communications, Excite and Lycos. Its stock more than doubled in its first day of trading, buoyed by optimism that the Internet would someday become a meaningful advertising medium. As the Web expanded to become a central way people communicate and do business in the new century, traversing its breadth became more difficult, and Yahoo sought to fold in more products and features. That gave an opening to another Stanford company, algorithm-based Web-query start-up Google, which brought fresh thinking to search and a focus on technology that could scale with the Internet’s expansion — and make money by more precisely targeting advertising based on users’ searches. Consumers soon began to shift to Google, and by 2005 it surpassed Yahoo in overall sales. An acquisition of Yahoo could have happened sooner. The most high-profile bid came in 2008 when it failed to consummate a potential purchase by Microsoft. The software giant offered more than $45bn for Yahoo, but then-CEO Yang eventually rebuffed the deal as too cheap. Today, the company is worth less than $38b, including its valuable Asian assets. The latest takeover talks began earlier this year when Mayer — after keeping investors at bay for years — said the company would explore strategic alternatives, including selling its main Internet operations. Mayer was finally bowing to rising shareholder ire that gained steam after the collapse of a plan to spin off Yahoo’s stake in Alibaba in a way that would minimise tax for investors. Alibaba, the largest e-commerce provider in China, had emerged as the most valuable piece of Yahoo, and investors wanted a way to realise some of those gains. 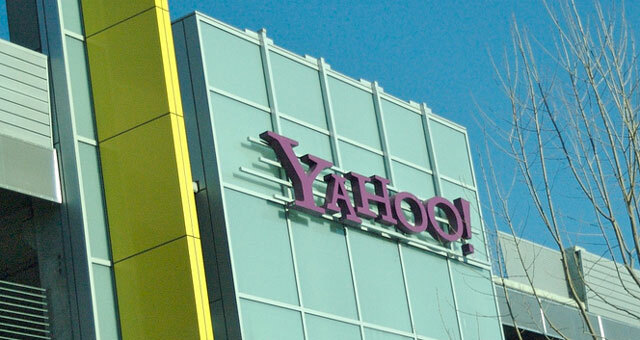 After US regulators failed to give prior approval for the transaction’s tax status, Yahoo jettisoned the plan. Activist investor Starboard Value, a longtime Yahoo critic, stepped up its campaign to pressure Mayer to act, including threatening to oust the board through a proxy battle. In April, Yahoo struck an agreement with Starboard by naming several new directors, including Jeffrey Smith, Starboard’s CEO. As part of the deal, Smith joined the strategic review committee. The latest sale process attracted strategic players and private equity firms. After the bids in early June, remaining participants included private equity firms TPG, Advent International Corp. and a partnership of Sycamore Partners and Vector Capital Management, people familiar with the matter said at the time. AT&T and Quicken Loans founder Dan Gilbert were also active in the bidding process, each vying to win Yahoo’s core Internet business, as well as some of its intellectual property and real estate assets. At the time, the multiple offers valued Yahoo’s Web businesses from about $4bn to $6bn, except for Verizon, a person familiar with the matter said. Verizon’s bid was lower — from $3,75bn to $4bn — because it didn’t include Yahoo’s patents and real estate. 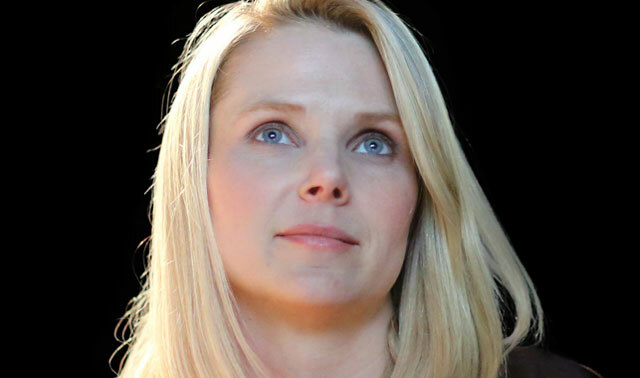 Early in her tenure at Yahoo, Mayer focused on hiring and product development to add user traffic and generate more revenue. She expanded online news with big-name hires such as Katie Couric, made several large acquisitions to round out the company’s advertising and video services, and pushed for a shift to mobile. Her efforts never translated to a financial revival. In the first quarter of 2016, Yahoo sales fell 18% to $859,4m, even as rivals such as Google parent Alphabet and Facebook posted respective revenue gains of 18% and 52%. Yahoo is projected to grab just 1,5% of the global digital ad market this year, down from 2,1% in 2015, according to EMarketer. Google is forecast to command 30,9%. Facebook’s slice will grow to 12%, the researcher said. Though Mayer expressed confidence in the turnaround plan as recently as this year, she said such efforts sometimes take five to seven years. Investors weren’t that patient.